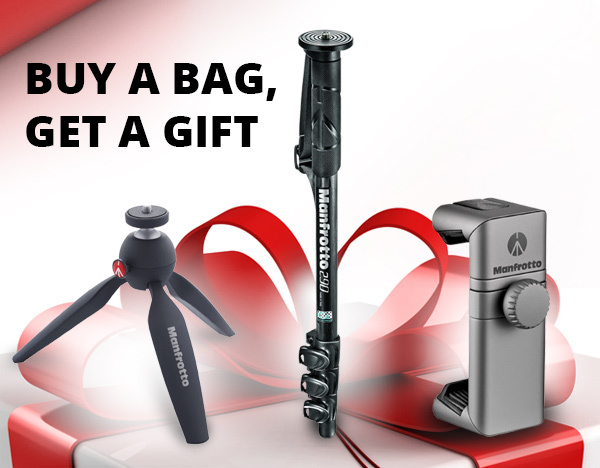 Get a FREE Pixi, TwistGrip Universal Smartphone Clamp or 290 Carbon Fiber Monopod when you purchase select Manfrotto Bags. you spend over $200 sitewide! You are receiving this email because you opted in at our website or you attended an online/offline event either organized or sponsored by us and you opted in to our mailing list to be informed about new product announcements, special offers or events. 2017Manfrotto Distribution, All rights reserved.